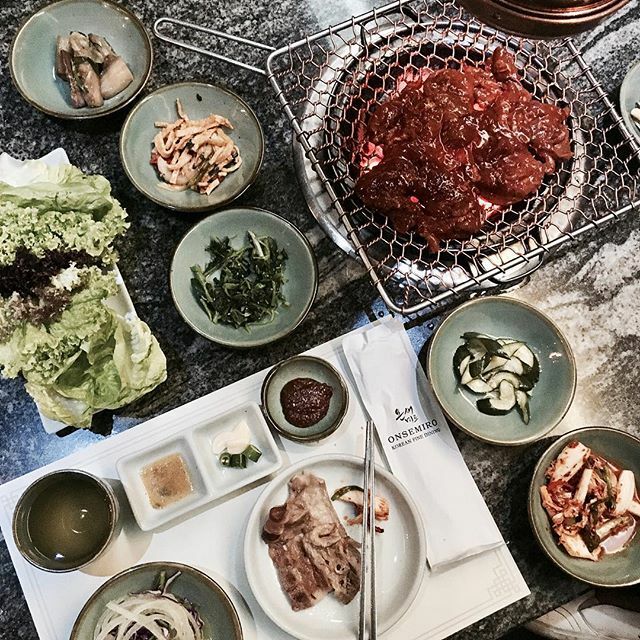 Top 6 Authentic 'HALAL' Korean BBQ Restaurants that You Will Regret Not Trying. 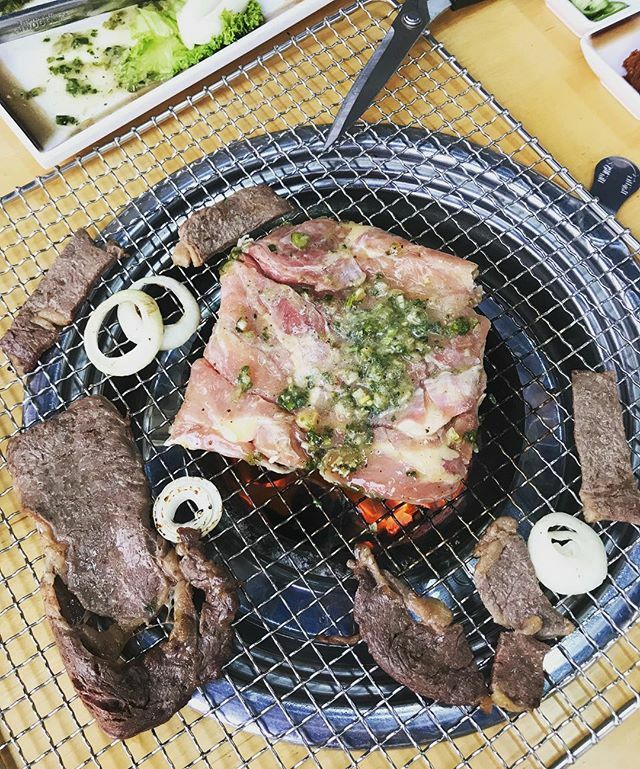 Without further ado, let's get it going with the Top 6 Authentic, AND 'HALAL', Korean BBQ Restaurants in the Klang Valley that'll definitely satisfy your cravings for MEAT! 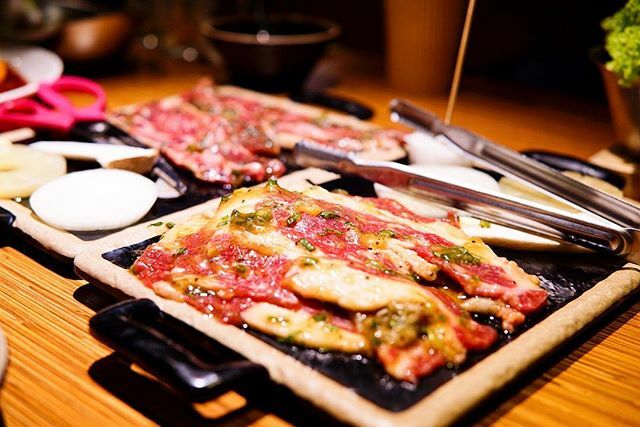 This place doesn't disappoint and is known for serving real premium-quality meat like Australian wagyu and beef sirloin! You get to choose if you want marinated or unmarinated meat -- depending on how your taste buds are feeling for the day. There's also a variety of seafood sets and the bibimbap and pajeon are to die for. WHERE: GoGung Korean Restaurant, LG36, Empire Shopping Gallery, Jalan SS16/1, 47500 Subang Jaya. Coming here would be a great choice for many of us who are on a budget but wanna enjoy "the good life" cause Bangi Dong is known for its cheap prices but with great quality meat. Be sure to order the beef prime rib & beef tongue -- a favourite of the long-time diners there. WHERE: Restoran Bangi Dong, Lot 3052, Jalan Datuk Sulaiman, Kampung Sungai Penchala, 60000 Kuala Lumpur. Here's the danger of coming here -- you're bound to order LOTS cause EVERYTHING LOOKS SOOOOOO GOOD! 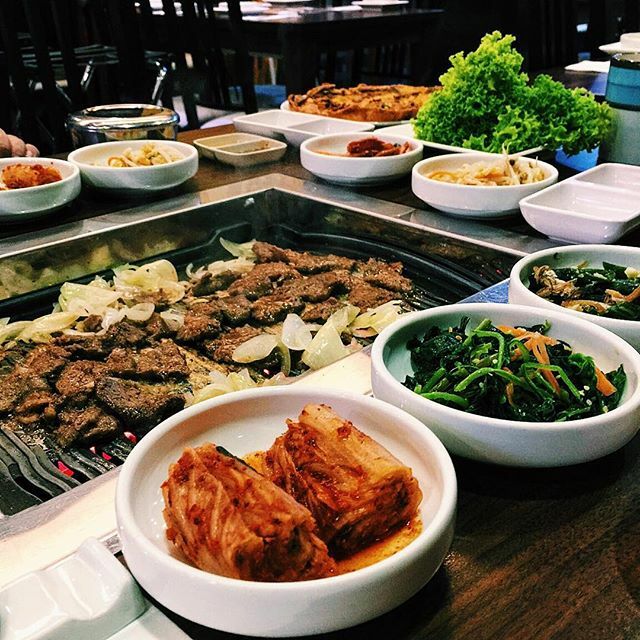 The Korean BBQ is a definite MUST, but keep space in your tummy to try the Fried Chicken wrapped with Cheese, dak-galbi and for dessert, bingsu! WHERE: Sweetree Korean Restaurant, Jalan Ampang Putra, Taman Putra Sulaiman, 68000 Ampang, Selangor. OPERATING HOURS: 10.30AM - 11.30PM, Closed on Tuesdays. The wagyu beef here will remind you of how it felt to fall in love for the very first time, while it melts in your mouth like butter. Make a plan to drop by on Weekends to enjoy the buffet lunch & dinner. A perfect place for guys to bring their Oppa-obsessed girlfriend for a special date night. P/s: This may be a pork-free restaurant but there are alcohol being served here. WHERE: Onsemiro Korean Fine Dining, Jalan Tun Razak, Kampung Datuk Keramat, 50400 Kuala Lumpur. What made this place so popular is the fact that that the foods are priced just right, and not over-the-top just cause it's based in KLCC. ALL side dishes are refillable so sit back, eat and enjoy till your heart is content. WHERE: Koryo-Won, 418-419, 4th floor, Suria KLCC, 50088 Jalan P Ramlee, Kuala Lumpur. I would say this is one of the cheaper Korean BBQ Restaurant to try for sure. 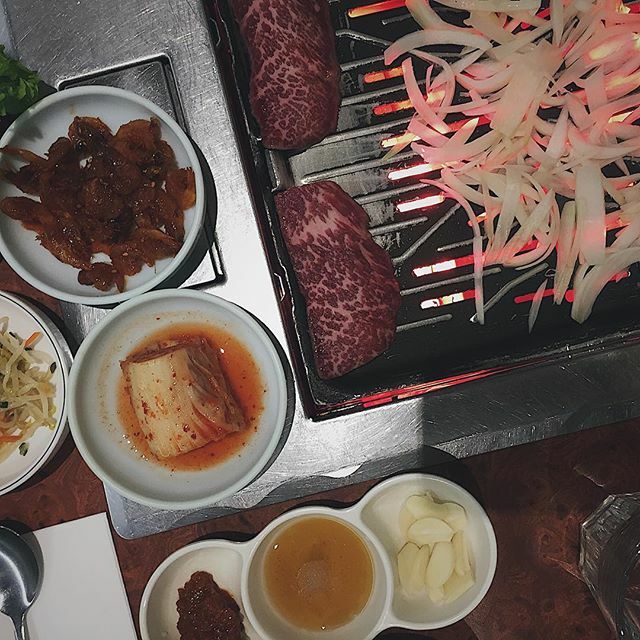 If you order the BBQ Set, you'll have a grand variety of beef + chicken + kambing + seafood pancake + tteokbokki and japchae. Now if you aren't full after that, go ahead and order a crowd favourite -- the cheese oyster! Basically it's an oyster that is covered with Mozarella cheese and grilled to perfection la... so you know you're bound to have a mouthgasm. P/s: This may be a pork-free restaurant but it's still in the process of getting certified. WHERE: Yeoju BBQ, Ground Floor Amerin Mall, No G, 13, Persiaran Impian Indah, Taman Impian Indah, 43300 Seri Kembangan, Selangor. 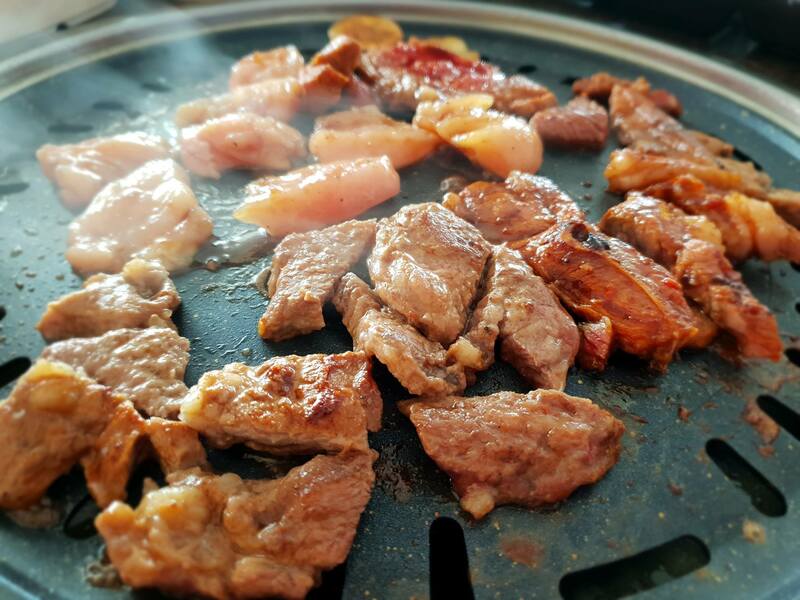 There you go, the Top 6 Authentic 'HALAL' Korean BBQ Restaurants in the Klang Valley. Go forth and enjoy, and be sure to drop your comments in the comment section below on which BBQ spot is your favourite and what was your favourite dish!